Recent Arrival! CARFAX One-Owner. Clean CARFAX.Certified. 2018 Kia Sportage LX Black Cherry 4D Sport Utility 2.4L I4 DGI DOHC 16V AWDKia Certified Pre-Owned Details:* Warranty Deductible: $50* Limited Warranty: 12 Month/12,000 Mile (whichever comes first) Platinum Coverage from certified purchase date* 164 Point Inspection* Powertrain Limited Warranty: 120 Month/100,000 Mile (whichever comes first) from original in-service date* Roadside Assistance* Includes Rental Car and Trip Interruption Reimbursement* Vehicle History* Transferable WarrantyLX Popular Package (Dual Illuminated Visor Vanity Mirrors, Dual-Zone Automatic Climate Control, Heated Front Bucket Seats, Radio: AM/FM/SiriusXM, Roof Rails, UV-Reducing Solar Control Glass, and Windshield Wiper De-Icer), 3.20 Axle Ratio, 4-Wheel Disc Brakes, 6 Speakers, ABS brakes, Air Conditioning, Alloy wheels, AM/FM radio: SiriusXM, Brake assist, Bumpers: body-color, Cargo Net, Carpet Floor Mats, Cloth Seat Trim, Delay-off headlights, Driver door bin, Driver vanity mirror, Dual front impact airbags, Dual front side impact airbags, Electronic Stability Control, Exterior Parking Camera Rear, Four wheel independent suspension, Front anti-roll bar, Front Bucket Seats, Front Center Armrest, Front fog lights, Front reading lights, Fully automatic headlights, Illuminated entry, Low tire pressure warning, Occupant sensing airbag, Outside temperature display, Overhead airbag, Overhead console, Panic alarm, Passenger door bin, Passenger vanity mirror, Power door mirrors, Power steering, Power windows, Radio: AM/FM/MP3/SiriusXM, Rear anti-roll bar, Rear seat center armrest, Rear window defroster, Rear window wiper, Remote keyless entry, Security system, Speed control, Speed-sensing steering, Split folding rear seat, Spoiler, Steering wheel mounted audio controls, Tachometer, Telescoping steering wheel, Tilt steering wheel, Traction control, Trip computer, and Variably intermittent wipers.THE ONLY CHOICE FOR A NEW KIA IN NJ & NY ! WE ARE PROUD TO BE THE #1 VOLUME KIA DEALER GROUP IN THE NORTHEAST UNITED STATES. WE ARE THE #1 RATED DEALER BY DEALERRATER.COM AND WE ARE THE #1 RATED SERVICE CSI DEALER IN THE COUNTRY. VISIT RACEWAYKIA.COM OR CALL (732) 462-4422 AND MAKE YOUR APPOINTMENT TODAY! Clean CARFAX.Certified. 2019 Kia Sorento LX Snow White Pearl 4D Sport Utility I4 FWDKia Certified Pre-Owned Details:* Warranty Deductible: $50* Includes Rental Car and Trip Interruption Reimbursement* Vehicle History* Roadside Assistance* Transferable Warranty* 164 Point Inspection* Limited Warranty: 12 Month/12,000 Mile (whichever comes first) Platinum Coverage from certified purchase date* Powertrain Limited Warranty: 120 Month/100,000 Mile (whichever comes first) from original in-service date22/29 City/Highway MPG 3.51 Axle Ratio, 3rd row seats: split-bench, 4-Wheel Disc Brakes, 6 Speakers, ABS brakes, Air Conditioning, Alloy wheels, AM/FM radio, Blind spot sensor: Blind Spot Collision Warning warning, Brake assist, Bumpers: body-color, Carpeted Floor Mats (7-Passenger), Delay-off headlights, Driver door bin, Driver vanity mirror, Dual front impact airbags, Dual front side impact airbags, Electronic Stability Control, Exterior Parking Camera Rear, Four wheel independent suspension, Front anti-roll bar, Front Bucket Seats, Front Center Armrest, Front reading lights, Fully automatic headlights, Heated door mirrors, Illuminated entry, Low tire pressure warning, Occupant sensing airbag, Outside temperature display, Overhead airbag, Overhead console, Panic alarm, Passenger door bin, Passenger vanity mirror, Power door mirrors, Power steering, Power windows, Radio data system, Radio: UVO Play w/AM/FM/MP3, Rear anti-roll bar, Rear seat center armrest, Rear window defroster, Rear window wiper, Remote keyless entry, Security system, Speed control, Speed-sensing steering, Split folding rear seat, Spoiler, Steering wheel mounted audio controls, Tachometer, Telescoping steering wheel, Tilt steering wheel, Traction control, Trip computer, Turn signal indicator mirrors, Variably intermittent wipers, and YES Essentials Cloth Seat Trim.THE ONLY CHOICE FOR A NEW KIA IN NJ & NY ! WE ARE PROUD TO BE THE #1 VOLUME KIA DEALER GROUP IN THE NORTHEAST UNITED STATES. WE ARE THE #1 RATED DEALER BY DEALERRATER.COM AND WE ARE THE #1 RATED SERVICE CSI DEALER IN THE COUNTRY. VISIT RACEWAYKIA.COM OR CALL (732) 462-4422 AND MAKE YOUR APPOINTMENT TODAY! Clean CARFAX.2012 Honda CR-V EX-L Gray 4D Sport Utility 2.4L I4 DOHC 16V i-VTEC AWD22/30 City/Highway MPG 17 x 6.5 Alloy Wheels, 4.44 Axle Ratio, 4-Wheel Disc Brakes, 7 Speakers, ABS brakes, Air Conditioning, AM/FM radio: XM, Automatic temperature control, Brake assist, Bumpers: body-color, CD player, Compass, Delay-off headlights, Driver door bin, Driver vanity mirror, Driver's Seat Mounted Armrest, Dual front impact airbags, Dual front side impact airbags, Electronic Stability Control, Four wheel independent suspension, Front anti-roll bar, Front Bucket Seats, Front dual zone A/C, Front fog lights, Front reading lights, Heated door mirrors, Heated front seats, Heated Reclining Front Bucket Seats, Illuminated entry, Leather Shift Knob, Leather-Trimmed Seats, Low tire pressure warning, MP3 decoder, Occupant sensing airbag, Outside temperature display, Overhead airbag, Overhead console, Panic alarm, Passenger door bin, Passenger seat mounted armrest, Passenger vanity mirror, Power door mirrors, Power driver seat, Power moonroof, Power steering, Power windows, Radio data system, Radio: AM/FM/CD Audio System w/XM Radio, Rear anti-roll bar, Rear seat center armrest, Rear window defroster, Rear window wiper, Remote keyless entry, Roof rack: rails only, Security system, Speed control, Speed-sensing steering, Speed-Sensitive Wipers, Split folding rear seat, Steering wheel mounted audio controls, Tachometer, Telescoping steering wheel, Tilt steering wheel, Traction control, Trip computer, and Variably intermittent wipers.THE ONLY CHOICE FOR A NEW KIA IN NJ & NY ! WE ARE PROUD TO BE THE #1 VOLUME KIA DEALER GROUP IN THE NORTHEAST UNITED STATES. WE ARE THE #1 RATED DEALER BY DEALERRATER.COM AND WE ARE THE #1 RATED SERVICE CSI DEALER IN THE COUNTRY. VISIT RACEWAYKIA.COM OR CALL (732) 462-4422 AND MAKE YOUR APPOINTMENT TODAY!Awards:* 2012 KBB.com Brand Image Awards2016 Kelley Blue Book Brand Image Awards are based on the Brand Watch(tm) study from Kelley Blue Book Market Intelligence. Award calculated among non-luxury shoppers. For more information, visit www.kbb.com. Kelley Blue Book is a registered trademark of Kelley Blue Book Co., Inc.
CARFAX One-Owner.2013 Honda Pilot Touring Red 4D Sport Utility 3.5L V6 SOHC i-VTEC VCM 24V 4WD10 Speakers, 3rd row seats: split-bench, 4.312 Axle Ratio, 4-Wheel Disc Brakes, A/V remote, ABS brakes, Air Conditioning, Alloy wheels, AM/FM radio: XM, AM/FM/CD Premium Audio System, Anti-whiplash front head restraints, Auto-dimming Rear-View mirror, Automatic temperature control, Bodyside moldings, Brake assist, Bumpers: body-color, CD player, Compass, Delay-off headlights, Driver door bin, Driver vanity mirror, Dual front impact airbags, Dual front side impact airbags, Electronic Stability Control, Entertainment system, Four wheel independent suspension, Front anti-roll bar, Front Bucket Seats, Front Center Armrest, Front dual zone A/C, Front fog lights, Front reading lights, Garage door transmitter: HomeLink, Headphones, Heated door mirrors, Heated Front Bucket Seats, Heated front seats, Illuminated entry, Leather Shift Knob, Leather-Trimmed Seat Trim, Low tire pressure warning, Memory seat, MP3 decoder, Navigation System, Occupant sensing airbag, Outside temperature display, Overhead airbag, Overhead console, Panic alarm, Passenger door bin, Passenger vanity mirror, Power door mirrors, Power driver seat, Power moonroof, Power passenger seat, Power steering, Power windows, Radio data system, Rear air conditioning, Rear anti-roll bar, Rear audio controls, Rear reading lights, Rear seat center armrest, Rear window defroster, Rear window wiper, Remote keyless entry, Roof rack: rails only, Security system, Speed control, Speed-sensing steering, Speed-Sensitive Wipers, Split folding rear seat, Steering wheel mounted audio controls, Sun blinds, Tachometer, Telescoping steering wheel, Tilt steering wheel, Traction control, Trip computer, Turn signal indicator mirrors, Variably intermittent wipers, and XM Radio.THE ONLY CHOICE FOR A NEW KIA IN NJ & NY ! WE ARE PROUD TO BE THE #1 VOLUME KIA DEALER GROUP IN THE NORTHEAST UNITED STATES. WE ARE THE #1 RATED DEALER BY DEALERRATER.COM AND WE ARE THE #1 RATED SERVICE CSI DEALER IN THE COUNTRY. 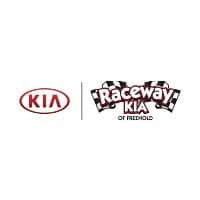 VISIT RACEWAYKIA.COM OR CALL (732) 462-4422 AND MAKE YOUR APPOINTMENT TODAY!Awards:* 2013 IIHS Top Safety Pick * 2013 KBB.com Brand Image Awards2016 Kelley Blue Book Brand Image Awards are based on the Brand Watch(tm) study from Kelley Blue Book Market Intelligence. Award calculated among non-luxury shoppers. For more information, visit www.kbb.com. Kelley Blue Book is a registered trademark of Kelley Blue Book Co., Inc.
2014 Honda Pilot LX Maroon 4D Sport Utility 3.5L V6 24V SOHC i-VTEC 4WD17 Steel Wheels, 3rd row seats: split-bench, 4.312 Axle Ratio, 4-Wheel Disc Brakes, 7 Speakers, ABS brakes, Air Conditioning, AM/FM radio, AM/FM/CD Audio System, Anti-whiplash front head restraints, Automatic temperature control, Bodyside moldings, Brake assist, Bumpers: body-color, CD player, Delay-off headlights, Driver door bin, Driver vanity mirror, Dual front impact airbags, Dual front side impact airbags, Electronic Stability Control, Exterior Parking Camera Rear, Fabric Seat Trim, Four wheel independent suspension, Front anti-roll bar, Front Bucket Seats, Front Center Armrest, Front dual zone A/C, Front reading lights, Illuminated entry, Low tire pressure warning, MP3 decoder, Occupant sensing airbag, Overhead airbag, Overhead console, Panic alarm, Passenger door bin, Passenger vanity mirror, Power door mirrors, Power steering, Power windows, Radio data system, Rear air conditioning, Rear anti-roll bar, Rear reading lights, Rear seat center armrest, Rear window defroster, Rear window wiper, Remote keyless entry, Speed control, Speed-sensing steering, Speed-Sensitive Wipers, Split folding rear seat, Steering wheel mounted audio controls, Tachometer, Telescoping steering wheel, Tilt steering wheel, Traction control, Trip computer, and Variably intermittent wipers.THE ONLY CHOICE FOR A NEW KIA IN NJ & NY ! WE ARE PROUD TO BE THE #1 VOLUME KIA DEALER GROUP IN THE NORTHEAST UNITED STATES. WE ARE THE #1 RATED DEALER BY DEALERRATER.COM AND WE ARE THE #1 RATED SERVICE CSI DEALER IN THE COUNTRY. VISIT RACEWAYKIA.COM OR CALL (732) 462-4422 AND MAKE YOUR APPOINTMENT TODAY!Awards:* 2014 KBB.com 12 Best Family Cars * 2014 KBB.com Brand Image Awards2016 Kelley Blue Book Brand Image Awards are based on the Brand Watch(tm) study from Kelley Blue Book Market Intelligence. Award calculated among non-luxury shoppers. For more information, visit www.kbb.com. Kelley Blue Book is a registered trademark of Kelley Blue Book Co., Inc.